The top-rated Emmy Award-winning hit series from The Walt Disney Company began its stellar fourth season in December 2012 as the #1 animated program on cable with tweens 9-14 and the #2 animated program on all TV with kids 6-11 for Q4 2012. Phineas and Ferb is now the longest running Disney Channel Original Series, and the brand has successfully expanded into a range of consumer products including: plush toys, books, comics, DVDs, action figures, apparel, accessories, and numerous entertainment experiences at Disney Parks. 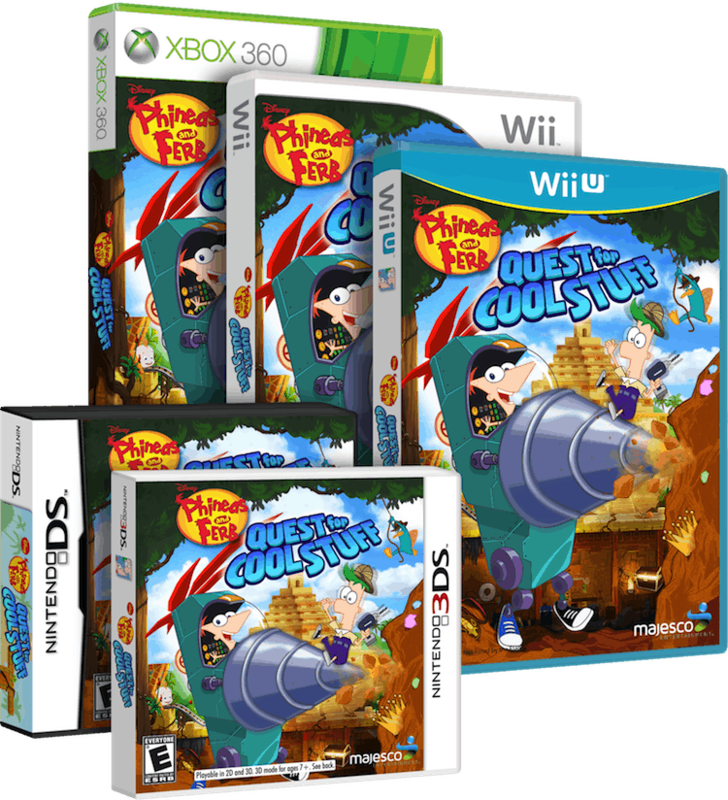 Play as Phineas, Ferb and Perry/Agent P as you interact with supporting characters from the show including Dr. Doofenshmirtz, Candace, Isabella, Buford and whiz kid Baljeet. Exploration Mode: Switch on-the-fly between ambitious innovator Phineas and silent, but stoic “Man of Action” Ferb as you explore their backyard, a lost temple, underwater caverns, and the surface of the moon! 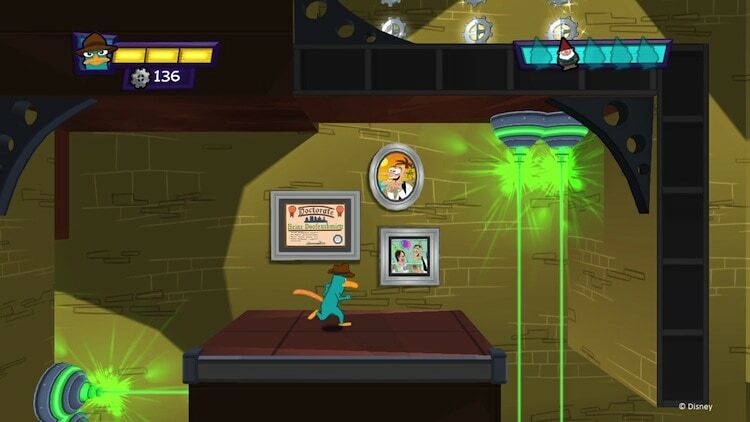 Action Mode: Transform Perry from subdued pet mode to super Agent P: jump, run, crouch, slide, hang from ledges, fight robot “inators” and sneak past traps and obstacles in Doofenshmirtz’s diabolical lab. Build and play in the A.T.T. (All-Terrain Transformatron Vehicle). Upgrade the A.T.T. by assembling new parts like pinchers, drills, rocket boosters and headlights that you need to access new areas. Customize the A.T.T to your preference with colors, sounds and decorative parts. Unfold an intertwining four episode storyline as Phineas and Ferb hunt for lost treasure and travel the world while crime-fighting Agent P embarks on a secret mission to foil the Dr.’s zany schemes. Defeat Dr. Doofenshmirtz’s flying Norm Bots and robot hordes including the Patroller, Jumper, Charger and other “get-rid-of-cool-stuff-inators”. 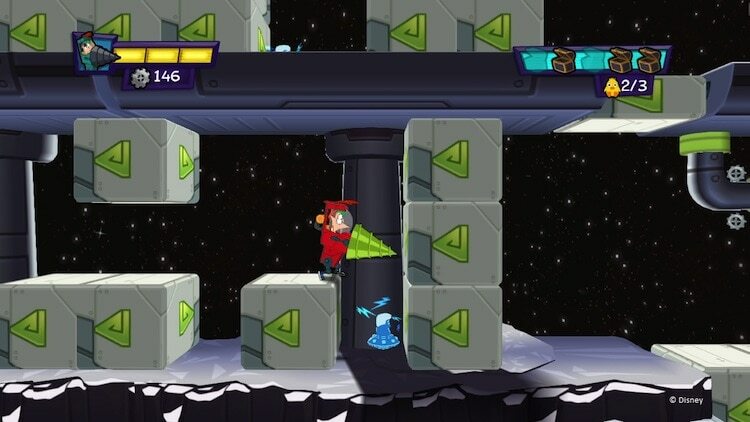 Avoid Dr. Doofenshmirtz’s nasty lab traps: collapsing floors, laser beams and falling boulders! Swing by Phineas and Ferb’s backyard Museum of Cool to access special items and loot you’ve collected on your adventures: Ferb’s Amazing Fun Trinkets include some of the most coolest artifacts the boys discover including the lost Atlantis hieroglyph, floating baby head, Meap’s Mustache, caveman’s first stone wheel, and more. One (1) lucky Lady and the Blog reader will receive an autographed copy of this really fun game!!! Yes we love Phineas and Ferb! We don’t have the game though. My son watches this show and I am sure he would like the video game. they like video games but don’t watch the show. We love the show, I think my husband like it as much of not mote than the kids. My son loves Phineas and Ferb! And he loves playing the Wii as well so this would be a great gift for him. Thanks for the chance! WE love P&F. The kids both play games. My kids love this show and video game! Thanks for the chance to win! Are you kidding? My 30 year old brother loves watching it with his daughter and stepdaughter. OMG YES! I have 2 boys who LOVE this show and love playing video games. This would be so great for them! 😀 Thanks for the chance. My kids love the show and video games! this would be perfect! Both my kids are obsessed with Phineas and Ferb. We love the show! my kids love phineas & ferb shows!! Both of my kids watch Phineas and Ferb. My son watches the sow and loves video games. My son loves this show! He can watch it over and over and over and yes he plays Wii and all kinds of games on different systems about an hour three days a week. =) He’s a great kid. My kids and myself watch the show all the time. It’s one of the better kids shows out there. Love Phineas and Ferb! My grandkids along with my son and his wife love this show and got me watching it when I visited them They all love video games. My kids watch this show daily and they love video games. Yes I have 2 video game addicts and they both like the show. This would be perfect. my kids do watch the show now and then. My oldest LOVES video games. My kids love this show and video games. My kids haven’t watched it. My son is a huge gaming nut, so he would love it. My kids do watch this show. Part of my kids like video games. My son loves watching the show. my son and daughter do watch the show. My son loves playing video games. My whole family loves this show and we all love video games too! my son loves the show, i like it too! and he loves video games, especially minecraft. i kinda hate it, i have to make him go outside and play! thanks! My daughter loves the show, but doesn’t have any games yet. My kids love the show and video games. My kids love this show. My youngest is disabled and doesn’t talk hardly at all, but he loves the theme song and sings it often. My kids love the show! And they’re just starting to get into video games now. My grandson loves Phineas and Ferb and likes to play his XBOX 360 on the weekends. My girls love this show and do play video games. I like the show as much as the kids! We do not have the game….yet! Yes, my children absolutely love the show and they play video games every chance they get. All of us watch the show & we love video games! our kids love the show and love to play video games. My kids and hubby LOVE phineas and ferb! We loved how they did the Marvel heroes episode! Both my boys love the show and both play wii and xbox all the time, they would love this! My kiddos love the show! My son watches the show and he does like video games. My boys love video games.